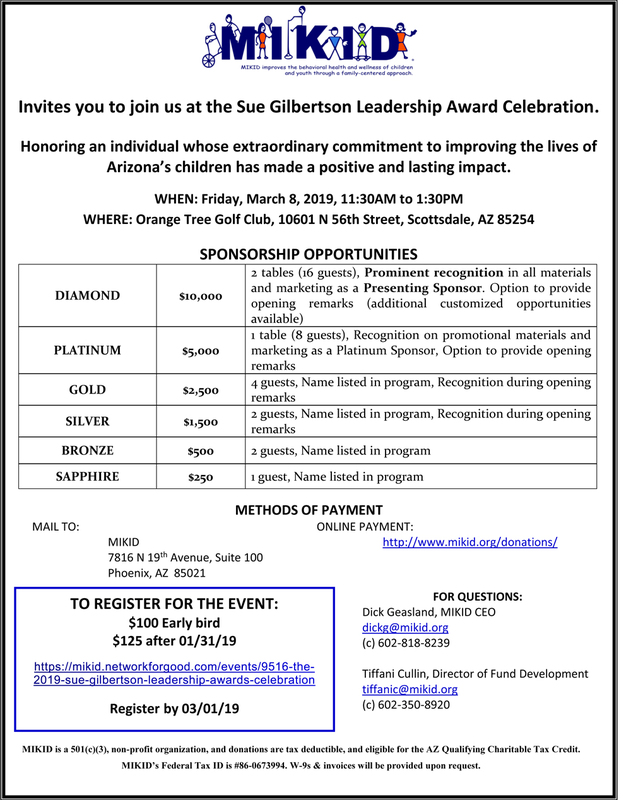 The annual Sue Gilbertson Leadership Award Celebration is named for our founder and celebrates the impact an Arizonian has made in the lives of children, youth and families. 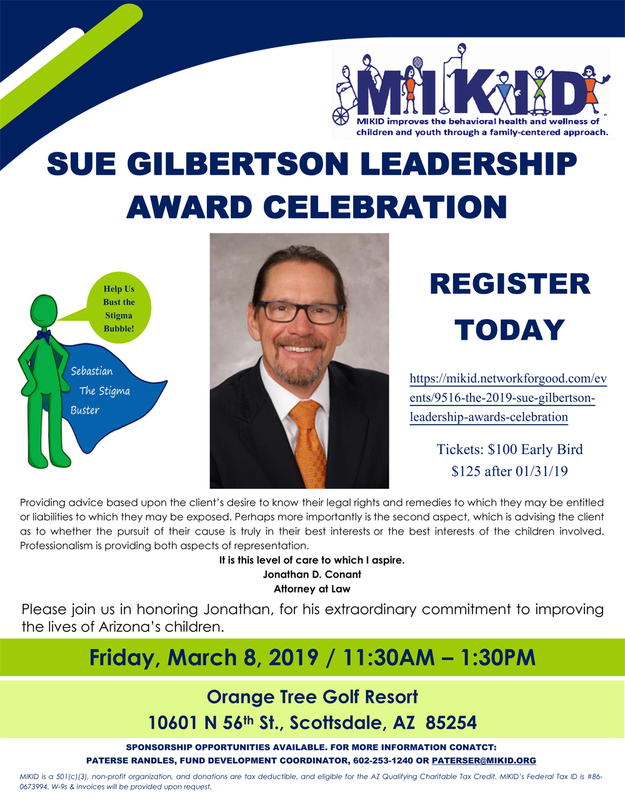 The luncheon on March 8, 2019 includes a silent auction, raffle, entertainment, a brief program, and the awards presentation. See details and sponsorship opportunities on the flyers below. All proceeds benefit the children, youth and families that access our services, and schools and community groups receiving our Mental Health Awareness and Suicide Prevention Education, across Arizona.